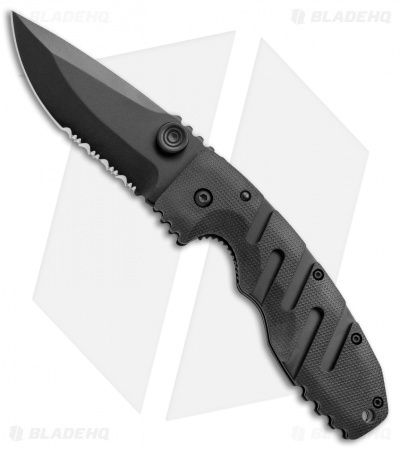 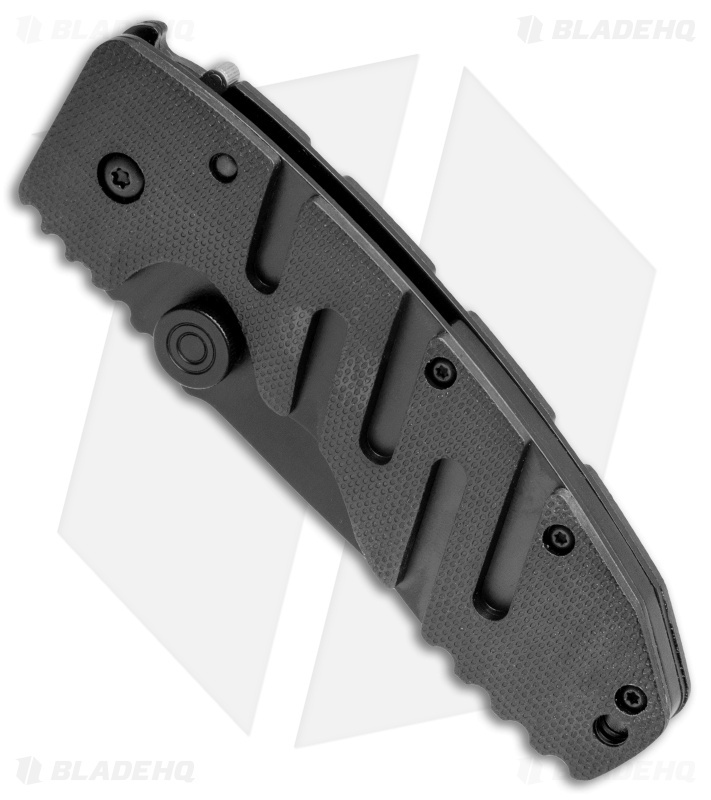 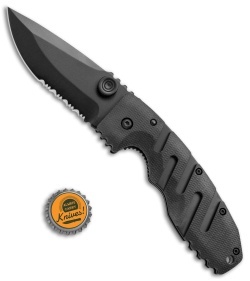 The CRKT Ryan Seven is aggressively designed with an all-black, heavily notched handle that boasts unique zytel scales with upper and lower grooves so you can be sure of a rock solid grasp. The blade has a tactical finish with a partially serrated edge and oversized dual thumb studs for easier operation when wearing gloves. 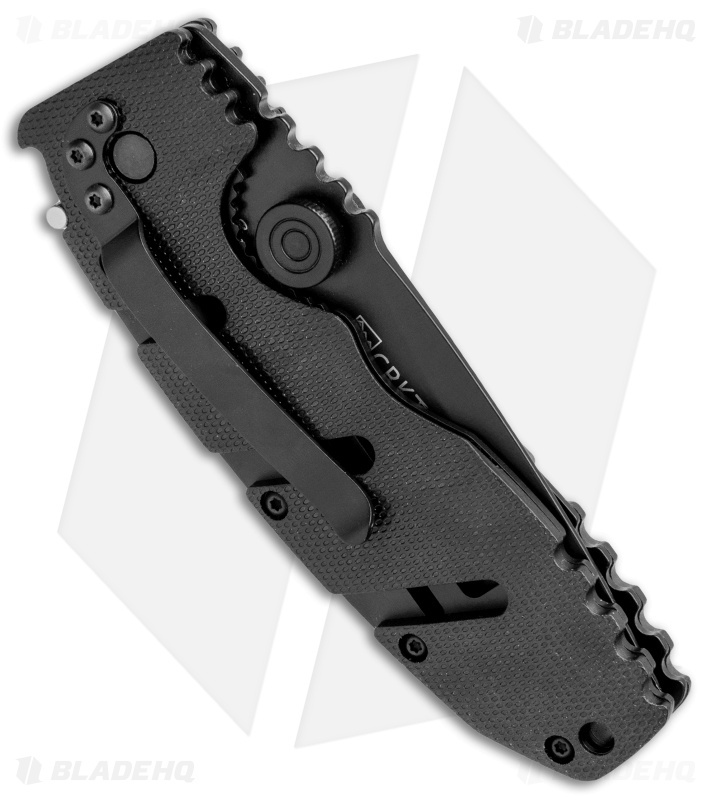 The steel liner lock frame is complemented with CRKT's patented LAWKS safety that transforms the knife into a virtual fixed blade. Includes pocket clip for tip-down carry.